You don't have to be wearing a lab coat to learn about science--science starts with observing the world around us! Adventures in a cave, in the dark, in bad weather, and even in the kitchen provide the backdrop for learning about the properties of sound, light, heat, and more. 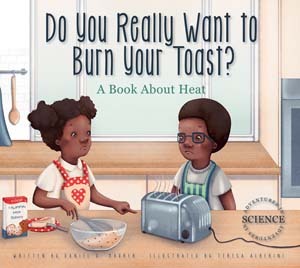 Use these books to show kids how science is relevant in our everyday lives. 9 1/4" x 8 1/4"